2Young2Retire is a coaching, consulting, and training organization. It is also a group of certified facilitators and associates who support the philosophy that we all have much to contribute beyond our initial careers and we are all Too Young to Retire®. The community of certified facilitators represents expertise in a wide range of fields for those in the second half of life. Whether you are seeking an encore career, wanting to volunteer, needing to create a healthier lifestyle, managing your finances, or planning to travel the world, 2Young2Retire may be able to help you on your journey. 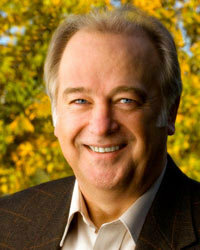 Paul G. Ward, Ph.D., is an international consultant, master facilitator, and purposeful life coach. Paul has advised senior leaders on transformational change, business performance improvement, and values-based leadership. Paul is the principal owner of the 2Young2Retire organization. For more information, contact 2Young2Retire.